Location: Lower Mainland BC I think the OE PN is 1639 772. Nothing relevant shows up on a Google search. Global: http://www.globalindustrial.ca/p/vehicle-fleet-maintenance/automoti... $25 but out of stock. It says lower at $53. Most of the above say "Lower". 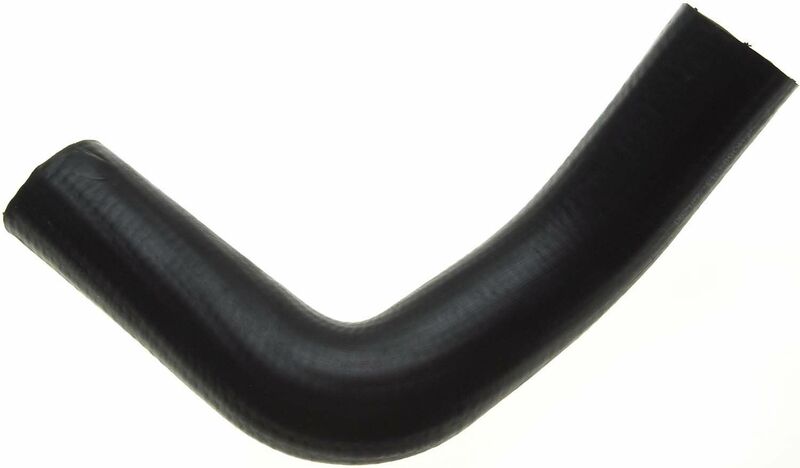 But even if it is the Lower hose, big deal, I will have a spare/replacement lower rad hose. Join the club, one of my pet peeves too; nothing ruins an otherwise nice engine compartment more than an accordion hose. Location: Buena Park, CA I have a non-accordinion hose on my '56 that was installed a few years back. Let me see if I can pull a part number for you. I have a non-accordinion hose on my '56 that was installed a few years back. Let me see if I can pull a part number for you. Please do. In the meantime, one of the two Gates 20475s I ordered (two different sources) (this one from Rock Auto) arrived. It looks like it would work in the upper position with a bit of trimming. Not sure about the lower position. I'm showing a photo of the existing lower hose for reference, then the Gates 20475 beside the new bendy hose I put on earlier this year. Location: Lower Mainland BC After I posted the above photo of the first Gates 20475 hose that I got (from Rock Auto), I contacted DepsilonD (David N.) who I know has a 56 Dodge Custom Royal Lancer with a 315 poly engine and asked him about his upper rad hose. He told me that he looked but didn't have any part number details in his file. However he was good enough to send me a photo (see below). That hose had no manufacturer info but it did have some numbers, i.e. EBPO 80MH70. I thanked him, noting that the first Gates 20475 that I got did not have those numbers, it had EBPO 17H16XDW, instead. I then started the search for 80MH70. I came up dry. David N. emailed and indicated that he had searched and he too had come up dry. Now I presume that since EBPO 17H16XDW and EBPO 80MH70 seem to be the same shape and size, those numbers might not be part numbers but lot numbers, more to do with the manufacturing of the hose material than the forming of the raw hose into specific shape. I don't know. What I do know (okay "think") is David N's hose is really Gates 20475. Regardless, when the weather gets warmer, I'm going to install one of my 20475s instead of that corrugated monster and see if it works. To be honest, I don't think the 20475 is the correct hose because of the quite abrupt 90 deg bend rather than a nice smooth radius bend. However, until I find something better, the 20475 is at least corrugation-free. First photo is courtesy of David N.
Location: Buena Park, CA I look forward to seeing how it fits when you install it. I look forward to seeing how it fits when you install it. In the meantime, I saw a Gates 22896 on a 56 Coronet with a D500 engine so I started to chase that one. So far I found that an ACDelco 22050M is close to the Gates 22896 so I bought that. Looks promising. I found a Gates 22986 (with a 90?? new number). It will be in tomorrow. I can always use the 20475 as the lower rad hose so no loss if these others work out. Location: Lower Mainland BC Ordered the Gates 22896 through my local NAPA. Arrived today. Shows as a NAPA 9531. Has the same "EBPO 80MH70" as the other hoses so I presume that that is the material designation not the actual hose. Location: Lower Mainland BC Somebody STOP ME. As I posted a photo of a 56 Imperial engine bay in a different thread, I noticed the PN on the hose, i.e. Mopar 60880. Taking 60880 to Rock Auto turns up "CONTINENTAL 60880 Molded; Cut-to-Fit; I.D. 1.750"; Length 16". 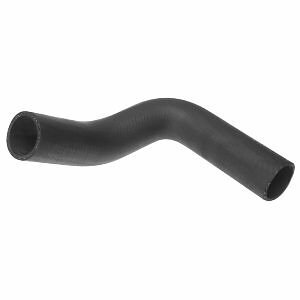 Continental Elite® Radiator Hose is designed to transfer glycol-based coolants to and from the radiator as well as through other components in the vehicle's coolant system." CAD$ 9.07 plus shipping.